Procure to Pay Transformation Strategy and Roadmap: If your company’s goal is providing right product, at the right time, at the right location, at the right price, in good condition, then you have to get supply chain management right and operate the procure to pay value stream effectively. The CIOPages.com Procure to Pay Transformation Strategy and Roadmap is an accelerator for any company trying to work on systems or process transformation in the supply chain. Why is there a need for Procure to Pay Transformation? In most companies, the procurement value chain was built as an afterthought, exacerbated by rapid growth – organic or inorganic. Typically, a patchwork of systems supporting a lot of ad hoc processes make the entire system costly, cumbersome and complicated. What does Procure to Pay Transformation Strategy and Roadmap include? The Procure to Pay Transformation – Sample Business Case and Roadmap is a PowerPoint deck presented in the voice of a large Global 2000 firm. The content is both in-depth and broad with ~30 well structured and information-rich slides, which you can reuse with or without modifications. Why Procure to Pay Transformation? No primary research or original forecasts. No in-depth vendor evaluations or rankings. As the Procure to Procure to Pay Transformation Strategy and Roadmap is a digital product, there are absolutely NO Returns. Depending on your industry, the type of Procure to Pay needs you’ve, some or all of the content may or may not be relevant to you. Sold on an as-is basis and without any warranties. Our terms of service bind the sale of this item. What is a CIO Pages Transformation Business Case and Roadmap? 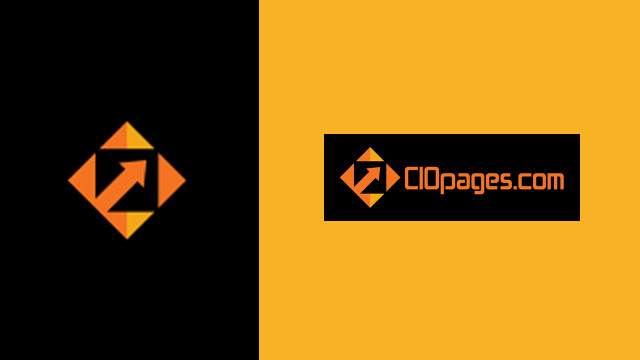 CIOPages.com Procure to Pay Transformation – Sample Business Case and Roadmap is created as a sample/proforma deliverable based on a fictitious company that is representative of a large and complex enterprise. What is the value of this deliverable? More often than not, teams tasked with creating a business case, and a transformation roadmap has to start with a blank slate and spend a lot of time in figuring out the basics. When the team spends 100% of the time in creating the 80% general stuff, the 20% which is core and unique is often than not missed out. With a CIOPages sample/proforma deliverable, the ratios of flipped by affording the teams to spend 20% on the 80% general stuff and 80% on the 20% items that matter! How do I use Procure to Pay Transformation Sample Business Case and Road Map? Use the content with or without modifications. Use the content as a cross reference, validation, and a checklist. But our Company is unique. Will it fit our needs? Of course, each company is unique in some respects. But you’d be surprised to know that there is a lot of commonality between firms about the reasons why the current state of procure to pay process is broken, as well as what a potential future state might entail. So the idea is if the content in this deck helps anywhere between 50-75% of your needs, it will accelerate your time to value. Who writes these Transformation Business Case and Roadmaps? CIOPages.com has access to a talented team of contributors and consultants who are industry practitioners and subject matter experts. 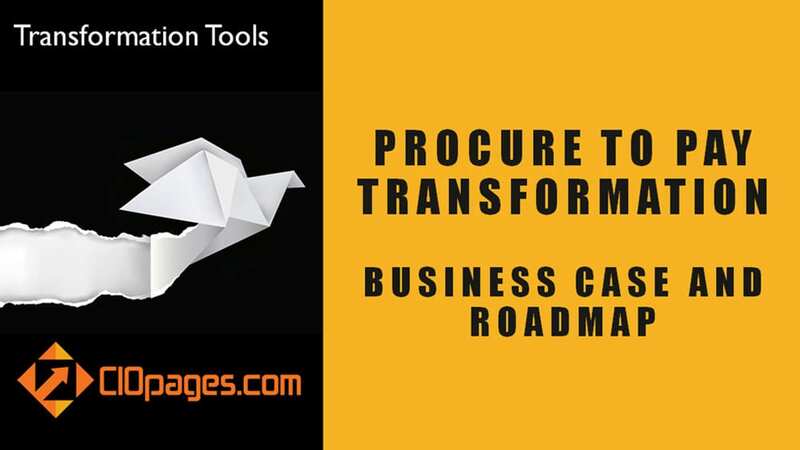 This CIOPages.com Procure to Pay Transformation – Sample Business Case and Roadmap is crafted by an expert with in-depth knowledge of the subject matter. Can you customize the deliverable to our needs? Of course! We’d love to take the proforma/sample deliverable as a springboard and help you create a consistent and compelling deliverable that is based on your unique needs and wants. Customize the Business Case and Roadmap to your needs. Conduct a vendor scan and fit-for-purpose analysis. Manage an RFP process and assist with vendor selection. Procure to Pay Transformation Strategy and Roadmap is available at a steep discount as a part of the Supply Chain Management Transformation Toolkit Consultancy Edition. Would you rather consider purchasing the bundle?